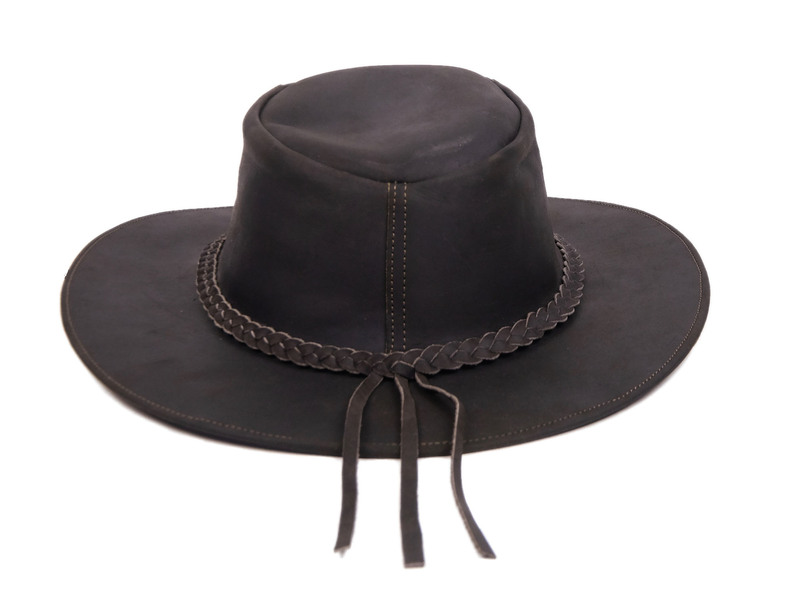 See a back and an inside view of the hat. These leather hats are from Cotacachi, Ecuador. We measure the inside circumference of the hats in inches. Sizes are approximate. 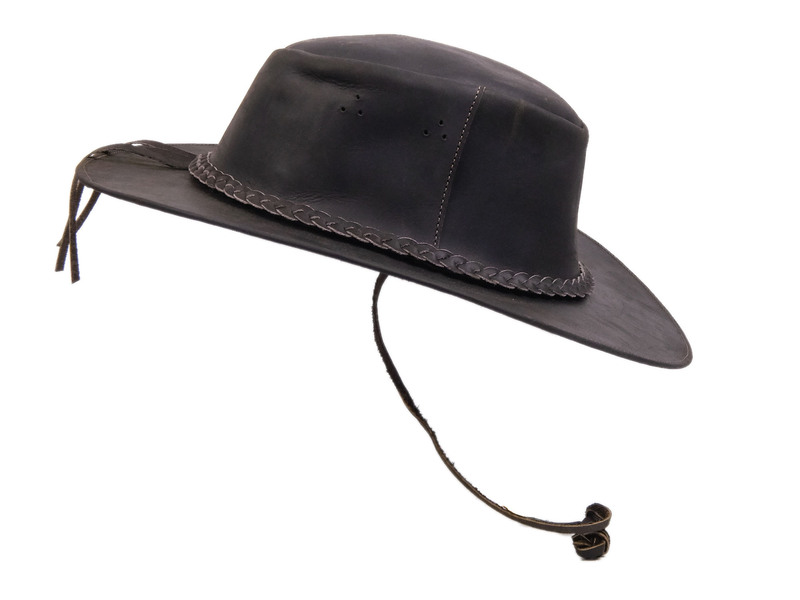 The diameter of the outside brim from front to back is about 14" to 15", and from ear to ear is about 12" to 13". 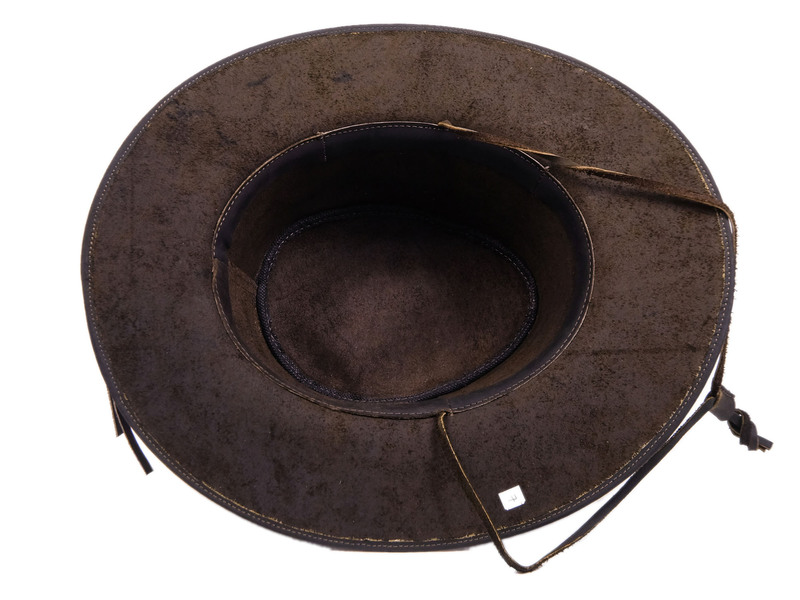 To give you an idea of the size, a 23" circumference hat measured 15" long by 12" wide with a 12.5" long strap, and it weighed 0.56 pounds. Please note that the hat may or may not be darker than what is pictured above.